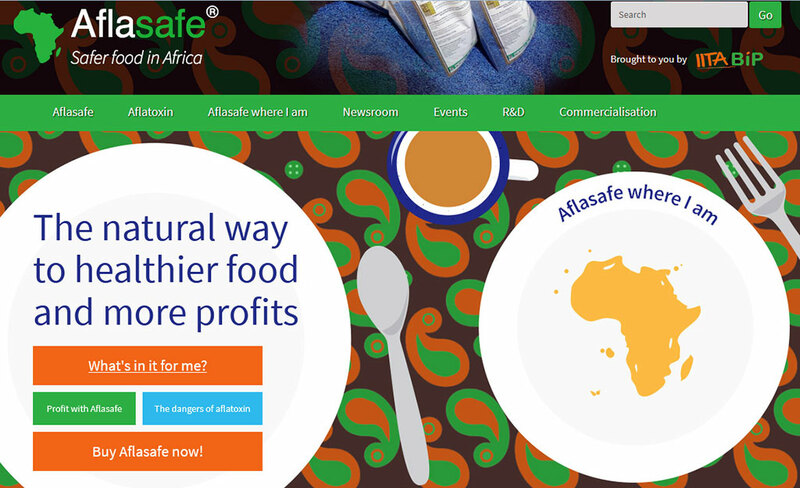 IITA’s Aflasafe initiative launched its new Aflasafe® website on 16 October, at IITA Ibadan, to reenergize Aflasafe’s online presence. The unveiling was timed to coincide with World Food Day (WFD). The new website mainly aims to support commercialization by reaching potential users and partners with a focus on marketing, advocacy and creation of awareness, and selling the product. The website rebirth for this innovative technology was led by Njeri Okono, IITA Communication Specialist, Aflasafe Technology Transfer and Commercialization Project; Brandon Tooke, Afasafe Web Developer; and Eloise Phipps, Writer, Aflasafe. “For this reason, Aflasafe, aflatoxin, and our work are described using language and graphics that you may never have encountered before. This was deliberate, to help us win the fierce competition of engaging external non-Research and Development audiences who have no shortage of information to choose from in this era of information overload,” she added. The website content and structure are not intended to downplay the value of the Research and Development work that has gone into Aflasafe, and there is a plan to create an in-depth home online for Research and Development-related materials in the future. 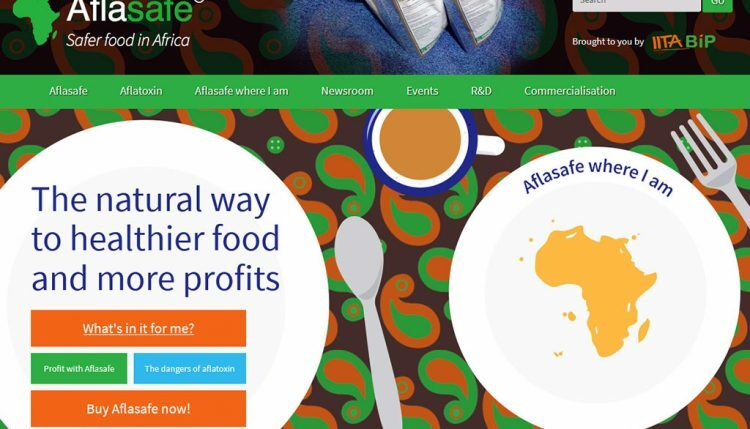 Aflasafe is a revolutionary all-natural product developed by IITA, the United States Department of Agriculture – Agriculture Research Service (USDA–ARS) and national partners. When instructions are followed and all conditions are met, Aflasafe reduces aflatoxin in maize and groundnut by 80–99% from farm to store. Click here for a guided tour of aflasafe.com.